Vietnam is moving towards a digital economy. As of this year, internet penetration in the country has reached 67% according to a consolidated report made by Hootsuite. Vietnam’s e-commerce has been rapidly growing, in fact it is growing 2.5x faster than Japan, said Lai Viet Anh – the deputy director of Viet Nam E-commerce and Information Technology Agency. As e-commerce in the country is growing so fast, many online payment systems have entered the booming market including MobiVi, 1Pay, WePay, Nganluong, Baokim, Momo, 123Pay, Smartlink and of course, Paypal – the world’s biggest online payment system. Paypal has been in the fintech industry for almost 2 decades and it’s one of the first online payment systems that have gone global and dominated the e-commerce industry in many countries. 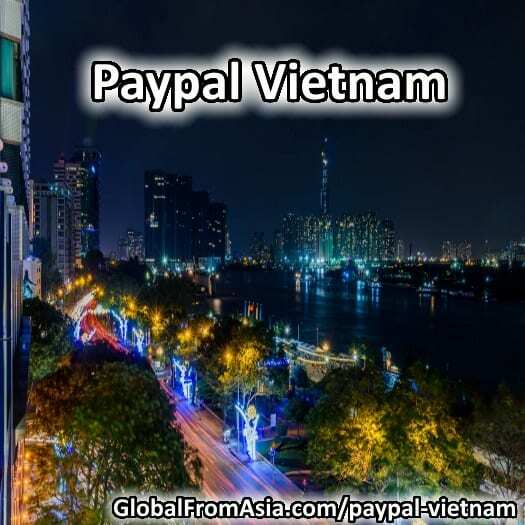 Without a doubt, Paypal is huge and is now taking its place on Vietnam’s digital economy. Shop at numerous e-commerce sites worldwide. Paypal is widely accepted in many countries –it gives security for both buyers and sellers, it’s fast, and very easy to use. Book and pay for your hotel accommodation, plane ticket, and taxi cab. Send and receive money from around the world. Create professional looking invoices to your clients. Signing up for a Paypal accounts is easy and can only take you not more than 10 minutes. To get started, visit Paypal website by clicking this link and hitting the Sign Up button. Step 1: Account Selection. On this page, you choose which option fits you best. There’s two options, one is for people who primarily want to buy online and the other is for people and businesses who primarily want to receive payments. Step 2: Provide Basic Information. On this step, Paypal will ask you basic information like full name, email address and your desired password. Click Next when you’re done. Step 3: Provide more information about you. On the third page, you will simply need to input your date of birth, nationality, valid ID number, address and mobile number. Step 4: Add your card. To start shopping and sending payments, you will have to add your credit card details. However, this is optional and may be done later. Step 5: Confirm your email address. After creating your account, you must confirm your email address to be able to receive money. To do this, click the “Confirm Your Email Address” button and check your registered email address and look for an email from Paypal with a link to conﬁrm. 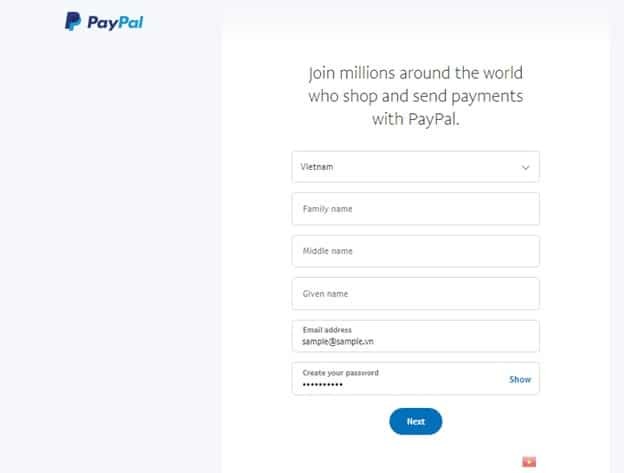 To verify your Paypal account, you must first have a bank account in Vietnam that can receive funds in Vietnamese Dong. Vietnam has a lot of banks which you can link to your Paypal account, to name a few: Eximbank, ACB, Đông Á, Eximbank, HSBC, Techcombank, Sacombank, Vietinbank, BIDV and TPbank. 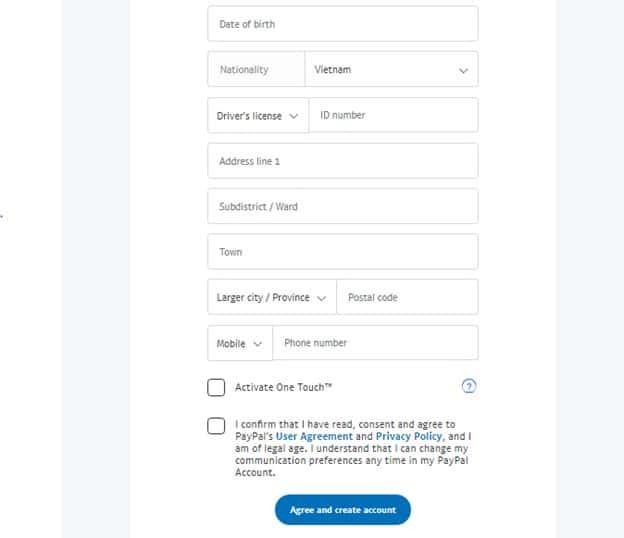 On account opening, it should be nice if your account comes with internet/mobile banking – this would make the account verification a lot easier. Say you already have your bank account, you must log on to your Paypal account to continue with the verification. On your Paypal Summary page, click on “Add a bank account or card” and select “Link a bank account”. Name: When entering your name, make sure you enter it exactly as it appears on your bank account. Bank Name: It should be complete and must be written with English characters. SWIFT Code: This is an unique alpha-numeric international code given to each banks worldwide. Click here to see the SWIFT Codes of all Vietnamese Banks. Account Number: Your account number may be found on your bank statement or online banking account. Once done, you will go back your Paypal Summary, under the Bank Accounts and Cards, select your card you just linked and click “Confirm Credit Card” to start the verification process. On this part, Paypal will deduct $1.95 from your account – which will reflect on your online statement or transaction summary. The charge is associated with a 4-digit code, usually it appears like this: PP*1234CODE. Some banks like ACB notifies you through a text message, wherein you also see the same 4-digit code. In case you don’t have an access to online banking yet, you may also obtain the 4-digit code by calling your bank’s customer service to help you out. After getting your 4-digit code, go back to your Paypal Bank Accounts and Cards and select “Ready to Confirm”, it will then ask for the 4-digit code. Click confirm to finish the verification process. 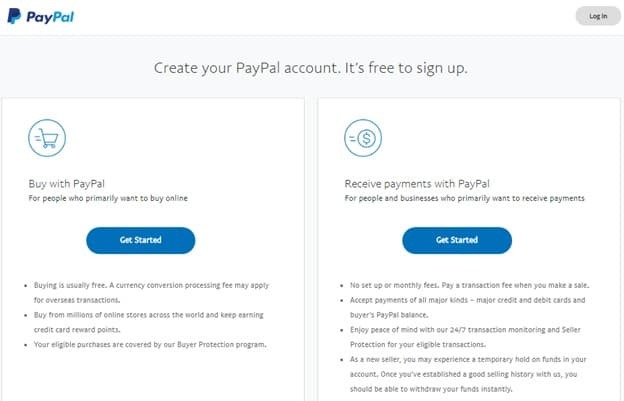 After successfully verifying your account, your sending limit will then be raised and you can basically start sending and receiving money using Paypal at ease. Paypal is named to be the safest payment gateway. Although it’s not a bank, its security measures include firewalls, data encryption, physical access controls to their data centers, and information access authorization controls. It’s very simple to use, it’s safe and protects both of the seller and the buyer.